LOONG POE WIND Tibetan incense cones are traditionally prepared from 31 natural herbal ingredients including aquilaria and arula (the king of medicines). 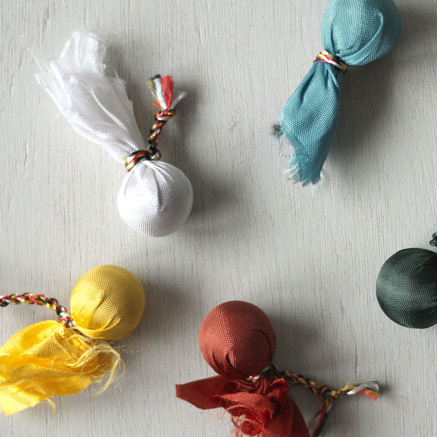 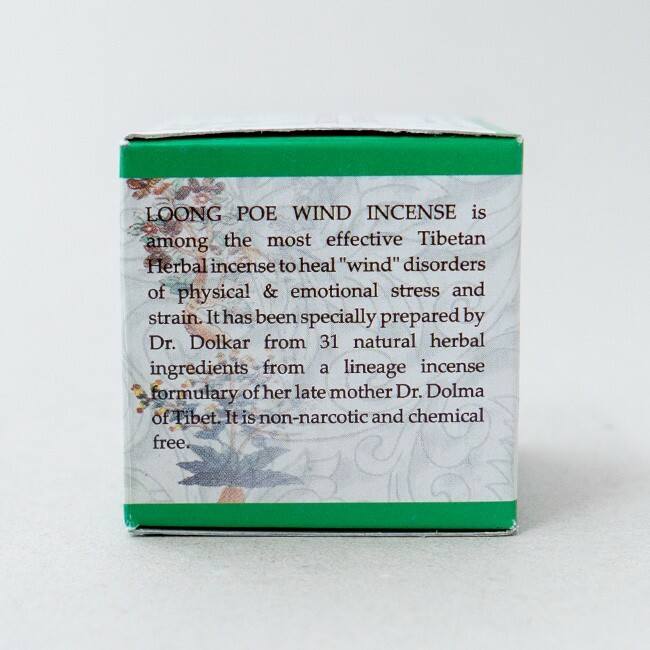 This potent herbal incense is one of the most effective to heal “wind” disorders of physical and emotional stress and strain. 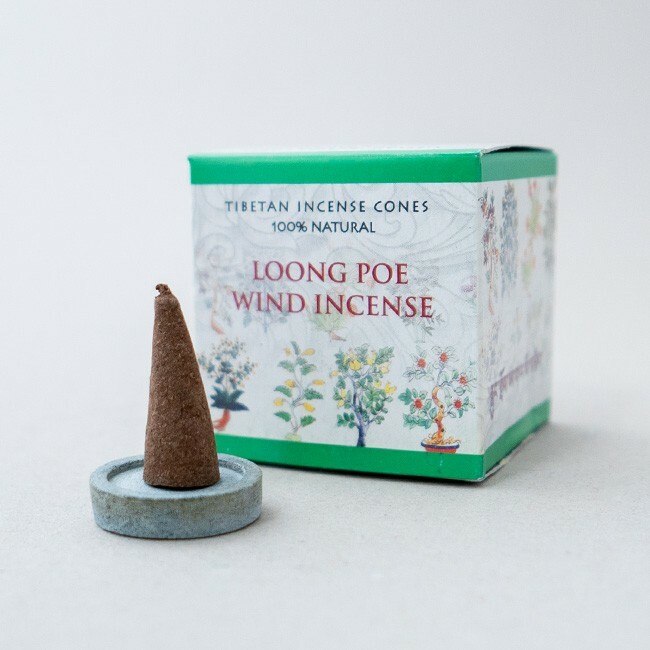 Made according to a Tibetan incense recipe formulated by the late Dr. Lobsang Dolma Khangkar of Tibet, also known as the "Mother of Tibetan Medicine", LOONG POE WIND Tibetan incense cones are formulated from 31 natural herbal ingredients including aquilaria, asafoetida, myrrh and arula (the king of medicines). 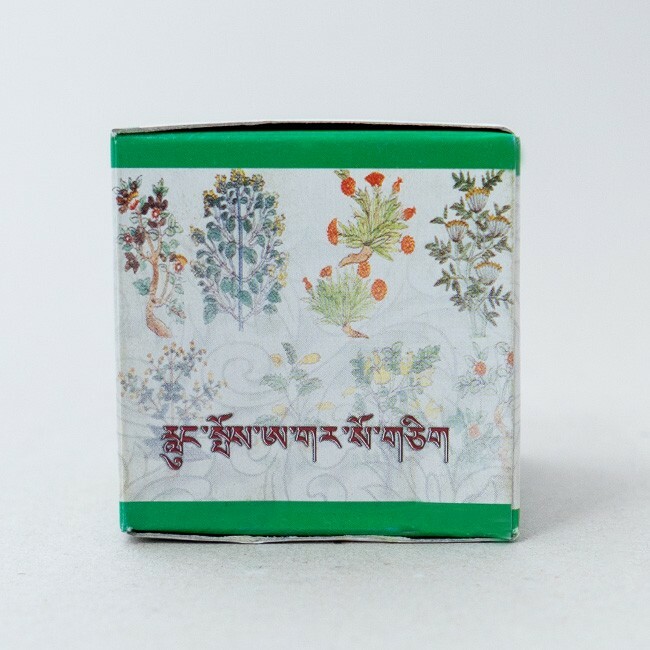 Prepared under the supervision of the illustrious Tibetan doctor, Dr Dolkar, this is one of the most effective Tibetan herbal incense formulations to heal “wind” disorders of physical and emotional stress and strain. 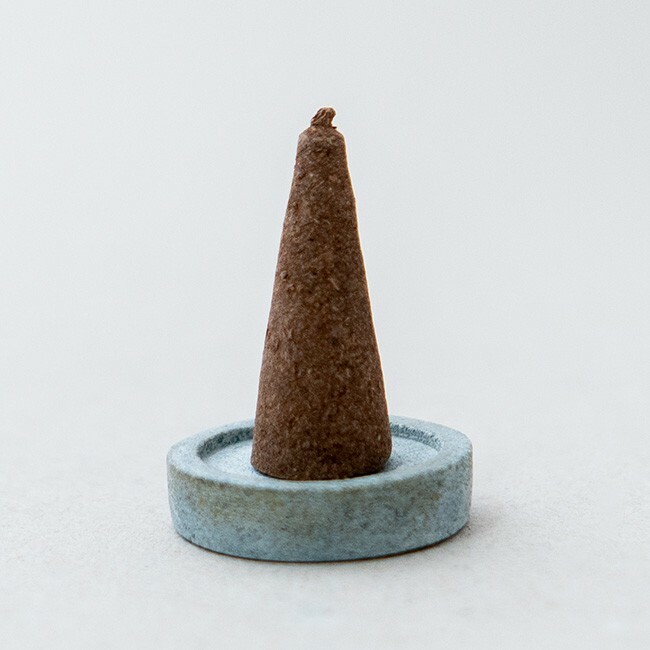 The special properties of this incense also relaxes the muscles and overcomes insomnia problems.